More than eight percent of all the electricity produced in the U.S. is consumed for home air conditioning. There are ways to reduce these costs. Start by insulating and tightening your home. Improve your insulation and seal windows and other places where heat can enter your house. You should specifically check the air leaks between your living space and the attic. Another good idea is to get rid of inefficient appliances. These appliances give off a lot of heat. 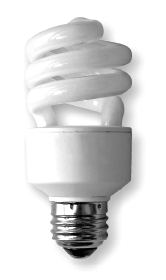 Replace incandescent light bulbs with fluorescents or LEDS. Use your dishwasher. You actually save money using the dishwasher rather than washing by hand. Be sure to wait until you have a full load to run it. Shade or improve your windows. To protect from the high-angle summer sun, consider adding horizontal trellises for your east and west-facing windows. If you are adding new windows where the summer sun comes in you should have low-e glazings to block unwanted heat gain. Contact Apache Air for an evaluation of your home and how you can economically keep your family and your business comfortable throughout the summer and winter months. Read what others are saying about the service they receive from Apache Air in Morris County and Passaic County. This company is invested in AC repair in the Clifton, NJ area as well as AC Repair in the Wayne NJ area. I had my furnace replaced by Apache and learned a bunch from the installers that came to do the work. I will use this company for all my heating and A/C business.